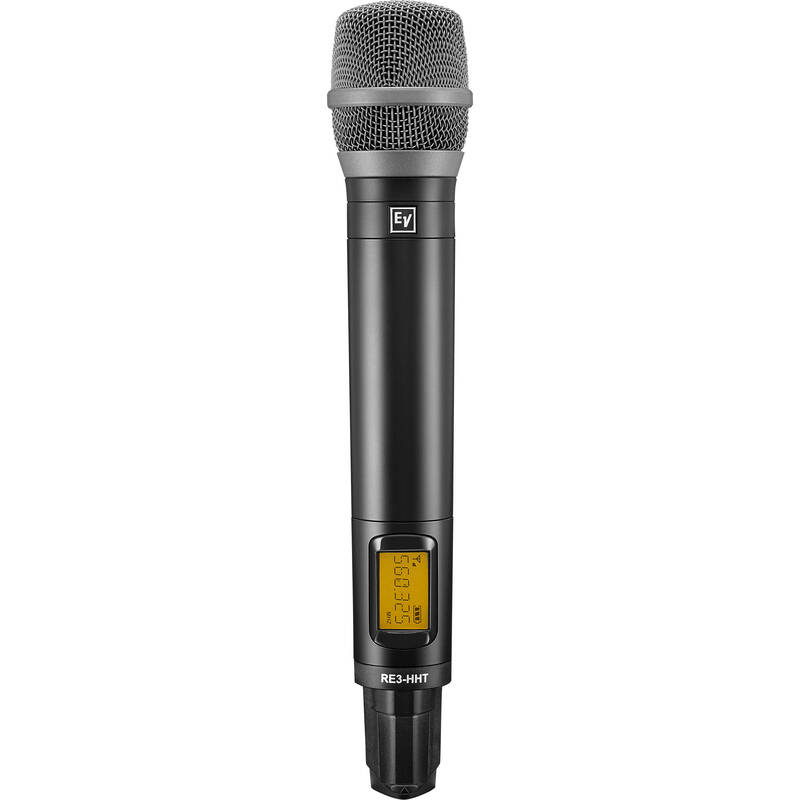 The RE3-HHT5205L UHF Wireless Transmitter with RE520 Condenser Supercardioid Capsule from Electro-Voice is a lightweight, yet robust UHF handheld transmitter body with a condenser supercardioid microphone head for vocal performance and presentations. It can be used when paired with the RE3-RX diversity receiver (sold separately) to capture audio for all-around voice applications. The handheld transmitter setup is quick and simple using the RE3 clear frequency scan and sync functions. It features 1440 selectable frequencies, switchable low- and high-output power, and up to 36 MHz tuning bandwidth. Additionally, recharging contacts provide for functional use with the optional BC2 charging station (sold separately) allowing the NiMH rechargeable cells to be charged without removal from the transmitter.